Peter Heine Nielsen is 31 years old and currently Scandinavia's number one. Peter has won many international tournaments, with the participation of such players as Ivanchuk, Short, Svidler and Beliavsky. He also won a bronze medal at the 1994 Olympiad in Moscow. Peter co-authored the book The Sicilian Accelerated Dragon in 1998 with fellow Dane Carsten Hansen. They are currently contemplating an updated edition. Sune Berg Hansen is 33 years old and one of Denmark's strongest grandmasters for some years. He has competed in several Olympics and once in the World Championship. He is well known in Denmark for the high quality he puts into his chess annotations and as the daily column writer for the large newspaper Politiken. 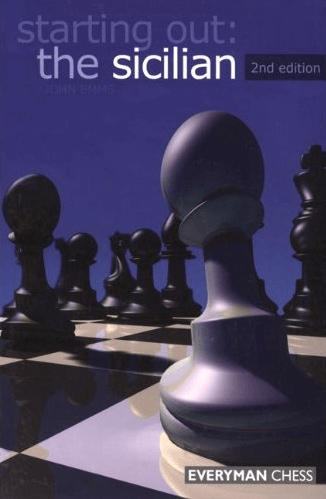 His article in this book is his first larger contribution to a chess book. His great knowledge of opening theory will become apparent to anyone who reads his contribution to this book. Viktor Gavrikov is 47 years old an famous on the tournament circuit for his large knowledge of opening theory. As a player he has played at the highest level for many years, against all the best players, and won games against players such as Karpov, Beliavsky, van Wely, Lautier, Andersson and Adams. Currently he contributes with theoretical articles to Chessbase Magazine and is working on a book on the middlegame. Mikhail Golubev is a strong 34-year old grandmaster from Ukraine who mainly considers himself a journalist. He is known as a diligent chess writer and the author of some well received opening books. Mikhail contributes often to New In Chess yearbook with theoretical surveys, and mainly on the Sicilian Dragon. In the recent years a great number of books on the Sicilian Dragon was released, but none caught the attention of the editors of this book, as Golubev's little book, Easy Guide to the Dragon.